CONCORD — The criteria the Site Evaluation Committee used to deny the Northern Pass Transmission project was “unduly or impermissibly vague,” developer Eversource claims in appealing the decision to the state Supreme Court. 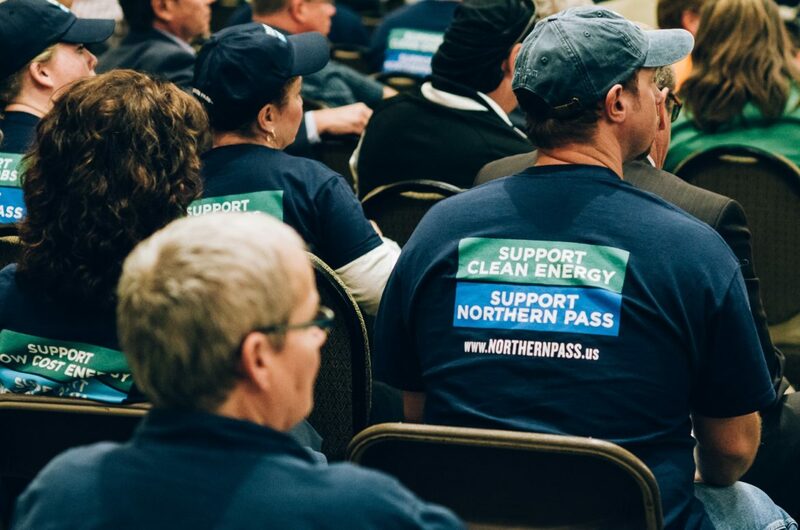 Filed late Friday afternoon, Northern Pass attorneys also claim regulators prematurely ended deliberations before assessing the project’s benefit which could have swayed the decision, and failed to follow statutes and its own rules. After 70 adjudicative hearings, 154 witnesses and reviewing 2,176 exhibits, the SEC voted 7-0 Feb. 1 to deny Eversource’s application saying the company failed to meet its burden of proof the $1.6 billion project to bring 1,090 megawatts of Hydro-Quebec electricity to New England would not interfere with the orderly development of the region. The committee reaffirmed its decision on the same 7-0 vote in May after Northern Pass officials asked the SEC to reconsider. After that decision, Northern Pass officials said they expected to file an appeal to the state Supreme Court and on Friday they did. Eversource NH president Bill Quinlan reaffirmed the utility’s commitment to the 192-mile project stretching from Pittsburg to Deerfield, which was first proposed in 2010, although it was dropped after initially being selected to deliver Hydro-Quebec electricity to the Massachusetts Clean Energy project. In its 150-page court filing, Northern Pass attorneys ask the court to consider questions to determine if the SEC’s decision is unreasonable or unfair. They claim the SEC failed to carry out its legal obligation to reach a decision on all four criteria needed to approve a project, noting, if it had, the committee would have considered the projects benefits in making its decision and discussed mitigations that would have addressed concerns raised by the board. “The SEC’s failure to complete its deliberations was just the first of a panoply of arbitrary and capricious decisions,” Glahn writes. The SEC determined the project failed to meet one of the four criteria and could not receive a permit so halted deliberations on the final two criteria. On appeal the developers argue the statutes and rules on orderly development are vague and open ended allowing arbitrary decisions and the SEC failed to clarify or offer guidance on the standards. They write the SEC never did define region and several members of the board were confused by the term. The SEC failed to consider evidence or present factual findings in making its determination, while requiring the applicant to provide greater and more specific details than required by law or rules. “This proceeding is a textbook case of arbitrary administrative decision-making that violated RSA chapter 162-H and the Applicants’ due process rights,” Glahn writes. The high-voltage transmission project through the North Country, White Mountains, Lakes Region and through the Capital area has been controversial since it was first proposed. Developers agreed to bury about 60 miles of the line, mostly through the White Mountain National Forrest, while much of the rest of the line would be in existing utility right-of-ways, although with larger towers. The project did include a new 32-mile transmission corridor through the state’s most northern communities. The Supreme Court will first have to accept the case, which it is expected to do, and then set a schedule to file briefs before hearing the appeal. The case could take up to a year for the court to decide. Read InDepthNH.org’s Northern Pass coverage here.